Antiseptic wipes and bandages take the sting out of everyday injuries. Compact size fits in purses, backpacks, and glove boxes. 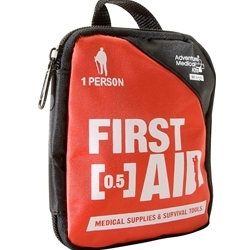 Adventure Medical Kits President Chris Gubera breaks down the Adventure First Aid 0.5, a great starter kit for low-risk activities.